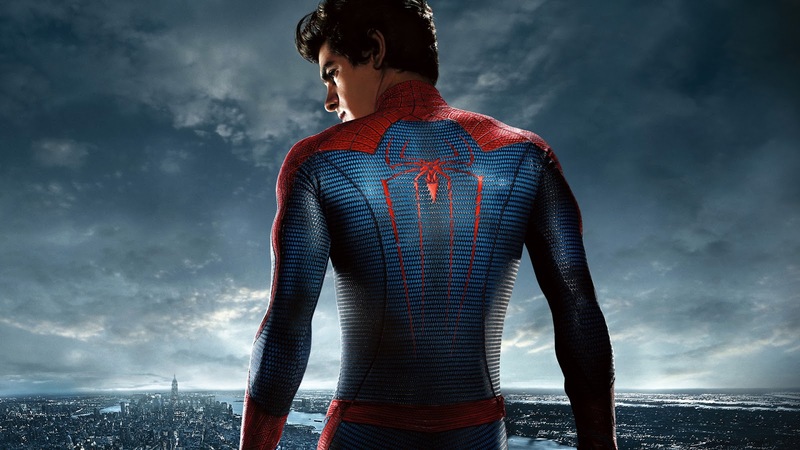 What Ever Happened To The Amazing Spider-man? We live in a pretty amazing time when it comes to companies working together that you never thought would. Microsoft has stated they would like to have cross-play with Sony, WWE is working with the UFC, and Sony is working with Marvel for Spider-man. All of these are exciting, but as a lifelong Spider-man fan, that's the one that excites me the most. After having set up a tremendous Cinematic Universe, Marvel has done the impossible with bringing in a character that all thought would be lost to whatever strange world Sony made for him. You know, like that other series. What? You're not sure what I'm talking about? Are we simply going to forget that these films even existed? It's not as crazy of a question as you may think. Even now in the year 2016, only three years removed from the second film, its existence is practically nonexistent. People have already moved onto Tom Holland and when referring to a different Spider-man, it's Tobey Mcguire. People are quickly trying to forget that Garfield ever donned the webbed spandex. It's too bad as there is a lot of good stuff in the Amazing Spider-man series. Don't get me wrong, I'm not trying to defend these films. If you dislike them then your points are probably valid, just like much of the criticisms levied against the films. I can understand what people see as bad in them but I never can. No matter what dumb things they managed to cook up for Spider-man to do, it was still Spider-man in New York and that's really all this Spidey fan needed. For as many faults as it has, one thing that it gets right is the relationship between Gwen and Peter. The chemistry between the actors is palpable and makes it so, no matter what the act is, you can imagine them doing it for each other. That is a far cry from the relationship between Kirsten Dunst's Mary Jane and Tobey's Peter Parker that can only be described as flat. I don't really get caught up in on-screen romances but Gwen and Peter is one that gets me every time. An argument or two could be made that Marc Webb doesn't quite understand what an action film entails much less a Spider-man film, which only Sam Raimi has come to nailing (although that looks to change with Homecoming), he really can build to an emotional moment. 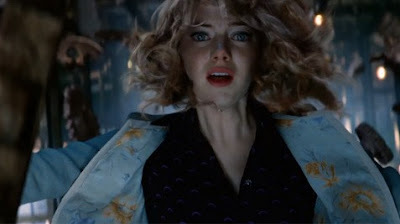 If you allow yourself to get lost in it, Gwen's death is one of the greatest character deaths in any film. Yeah, I said it. While the history behind her death transcends the scene, it's still a feat to have nailed it in such a pivotal way. While many people didn't like the film, few had a bad thing to say about that scene. The greatest sin that the films commit are too much setup. The first one tries to reintroduce us to a story that we already know intimately, while taking subversions that just seem silly. This leaves the audience just waiting for Spider-man to show up and for us to finally get the movie we came to see. Then the second one is simply setting up two more films. While there is a lot that I enjoy in the movie, it's hard to ignore just how pompous the studio was in just assuming they could create an overstuffed movie that didn't make sense but would "pay off later" for the audience. It didn't work and is the whole reason we're in this situation to begin with. But don't get me wrong. it's not a bad one to be in. While I did enjoy the movies, it's not the Spider-man that I always wanted to see on the Big Screen. When I see Tom Holland swing onto camera in Captain America: Civil War, it's hard not to act like a little kid inside. He nails the part and there's no controversy with the casting (a first for the Spider-man films). Which is why it's so much easier to move on: everything seems to be going so right that the mistakes just kind of get forgotten and left by the way side. It's going to be weird in ten years because when someone mentions Spider-man, there are going to be a lot of people who don't even know what the Amazing Spider-man films are. It's going to seem like some distant memory as we're into our third or fourth Spidey film post-merger and it's a damn shame because there's a whole world that we never got to see realized. There was so much set up and intriguing aspects from a company with too big of a hubris and I'm left wondering what could have been. It's kind of amazing isn't it? The Crimson Summer - AVAILABLE NOW!! !